When it comes to perfect eye makeup, you cannot miss out mascara. Mascara not only make our eyes look beautiful but also enhance our expressions. Most women look for attractive and appealing packaging while buying their favorite cosmetic products, same goes for mascara. Brands should always focus on packaging quality as much as they focus on product quality. It attracts customers and gives them the confidence to buy the product. Maybe you think you have the best mascara packaging but there is always something to improve. Here are some tips which can help you to improve your mascara packaging. You need time to think what your customers want and what they need regarding Mascara Packaging. Present different packaging ideas to your targeted audience to know what appeals them most. Also, take a tour of cosmetic stores and find out what your competitors are doing. If every brand is opting for dark colors boxes, you should go for light colors. It will allow you to stand out and get noticed. Also, notice customer behavior why they prefer one packaging over other. Cosmetic market is getting tougher and in order to get the success, you have to be unique. You can stand out at any level like box shape, colors, branding elements or any other way.ake notes from other successful brands. It doesn't mean to copy them but you can get some creative ideas. When it comes to designing efficient packaging for mascara boxes, you need to be creative and innovative. But do not overdo it. Usually, the mascara comes in small boxes. if you fill the box with unnecessary text and patterns, it will be hard for customers to know what the product is all about. Keep your mascara boxes as simple as possible, use symbols and images to communicate with customers. Customers will find d it easy to connect with your brand. Custom Mascara Boxes should reflect your brand and message. It should have the same feel and look at your brand. 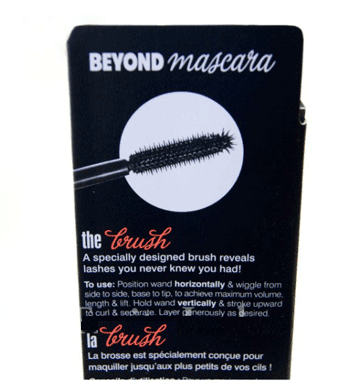 You should ensure that branding elements should be same on mascara boxes as on other marketing materials. Use your brand theme on your mascara boxes to shout out your brand identity. Whether you are selling mascara products on store's shelves or at the online shape, consider the perception you want to create in customer's mind. It should be same when people think about your brand in general. While scanning the shelves, customers don't have much time to consider each and every brand. If your mascara packaging will be unique, customers will immediately notice it. It's all about making customer's feel special and you can do it by personalizing your custom mascara boxes. When it comes to practicality, most of the cosmetic packaging fails. A well-designed mascara box should be easy to use, handle and open. Your focus should be on customers while designing the packaging. Consider how customers will use it. In many instances, people find it hard to take the product out and it screws the packaging. You can lose your customers if your packaging is not practical. Customer's feedback will also help you to design more effective packaging. Sometimes customers can't figure out what the product offers and its benefits. If the text on the packaging is not readable or too small, customers can be confused with different types of same product. When it comes to choosing fonts, stick to basic. Use large size and ready to read fonts for delivering information. Sometimes images are also confusing or not clear. 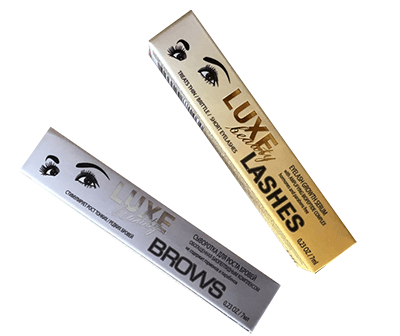 Use a high-quality image of your product on mascara boxes or you can add a plastic window to reveal your product. Packaging is like a billboard, you have to design it perfectly to draw customer attention and to draw more sales. Make your mascara boxes do the job of a salesman and let it sell itself. On shelves and in online stores, you can't convince customers to buy the product but an effective packaging can do the job. Use right colors, clear images, and readable typography to target your ideal customers. To design a perfect mascara box is impossible, there is so much to packaging which you can always improve. Custom Packaging Pro can help you to design the best custom mascara boxes in a professional way.